Success! Norma from Guatemala raised $512 to recover from acute malnutrition. Norma's treatment was fully funded on October 11, 2016. 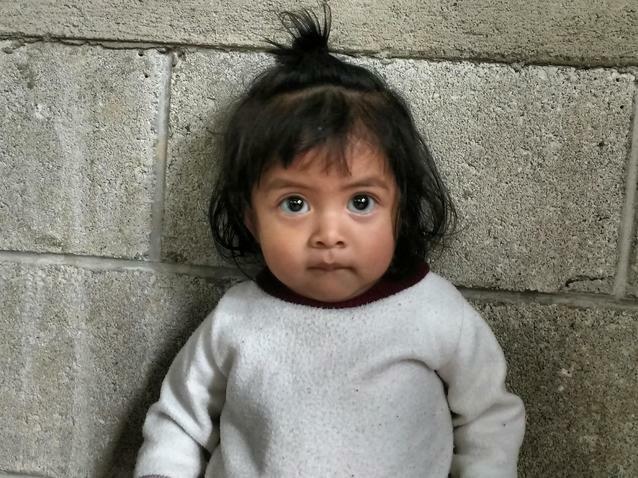 Norma received successful malnutrition treatment. Since Norma began to receive treatment, she has been gaining lots of weight. She has more energy, wants to play more, and is learning more words. Her immune system has also grown stronger. 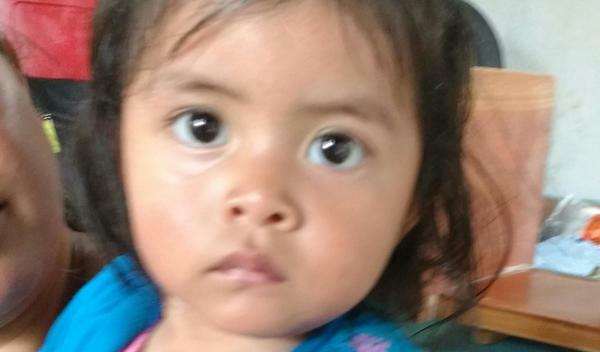 Norma is a sixteen-month-old baby girl from Guatemala. Norma has not been able to grow like she should. She is suffering from acute malnutrition, a dangerous condition caused by a lack of protein, calories, and nutrients. She has been hospitalized twice before due to malnutrition and pneumonia, and her mother has been unable to sleep due to concern about this reoccurring. Norma’s immune system has grown weak as a result; meaning that sickness, fever, or a respiratory illness could be life-threatening. Norma lives with her family in a one-room adobe house with a tin roof. Her family lives on about two dollars per day, nowhere near enough for her to afford to give Norma even one piece of fruit, vegetable, or egg per day–making it impossible for her to overcome her malnutrition without treatment. Growth monitoring, micronutrients and food supplementation will help Norma recover from malnutrition. For $512, she will get the treatment and care she needs. She will gain weight, grow taller, and her immune system will improve. Her appetite will increase, allowing extra calories to be used for mental development rather than fighting illness. Her mother will receive the support to give Norma the diet she needs, even with their limited resources. Intervention now will prevent the future devastating effects of malnutrition and give Norma the chance to live a healthy and productive life, escaping the cycle of malnutrition and poverty that made her sick in the first place. Norma's case was submitted by Jessica Hawkins at Wuqu’ Kawoq in Guatemala. Norma was submitted by Jessica Hawkins at Wuqu’ Kawoq, our medical partner in Guatemala. Norma received treatment at Clinic Panajachel. Medical partners often provide care to patients accepted by Watsi before those patients are fully funded, operating under the guarantee that the cost of care will be paid for by donors. Norma's profile was published to start raising funds. Norma's treatment was fully funded. Norma's treatment was successful. Read the update. Children generally face stunted physical growth, delayed mental and motor development, low appetite, and frequent illness. Malnourished children have weakened immune systems that put them at risk of diarrhea, fevers, and respiratory illnesses. This treatment treats growth failure in small children usually under 2 years of age. The most common form of growth failure in children in Guatemala is called stunting. This is a form of malnutrition where weight is relatively normal but height is severely reduced. Stunting has major effects on the developing brain. Stunted children have low IQ and they don’t make major developmental milestones. These effects persist into adulthood, where they impact schooling and economic potential. Furthermore, stunting contributes to the development of serious adult illness like diabetes, heart disease, and obesity. Indigenous Guatemalans are one of the most marginalized and vulnerable populations in the world. They live in rural areas and suffer from high rates of food insecurity. The poorest indigenous Guatemalan villages have the highest rates of stunting in the world. Children enrolled in our recuperative nutrition program receive about 1-4 months of intensive intervention, depending on the severity of the case. All of this care is delivered in the home in a personalized fashion. Most require a basic laboratory evaluation to look for thyroid disease, anemia, and intestinal infections. Acute infections are rapidly treated with antibiotics. Then a specialized case manager and nutritionist make weekly or every other week educational and health monitoring visits to the home. An assessment of food insecurity is conducted using standardized instruments and food is often provided to help bolster acute recovery. Micronutrient supplementation is provided. This treatment saves brains. Appetite and growth and developmental milestones recover, and height begins to rise once again. The immediate outcome is improved overall child health, including reduced vulnerability to severe infections. The long term outlook is improved cognitive potential, school completion, and economic prospects. Nearly 100% of children will experience improve appetite, energy, and development. At least 75% of children will have noticeable improvement in growth parameters. The effects of the intervention extend to other children in the home; since the approach is highly educational, parents learn how to care for other children and prevent this from occurring subsequently. This condition is treatable, and no risks for treatment exists. Treatment for malnutrition is incredibly inaccessible in Guatemala. Populations are rural and don’t have access to intensive nutritional intervention and education. Public sector approaches are too low intensity to make a difference for these children. There are no real alternatives to our program. Many organizations and governmental entities provide basic preventative care, but once a child is already malnourished these approaches are no longer effective. Most children fail prevention and therefore need our help. Kule is a farmer from Kenya. He is married and a father of six children. Since 2017, Kule has had an inguinal hernia. This hernia causes him pain and if not treated, the hernia may result in intestinal tissue damage or death. 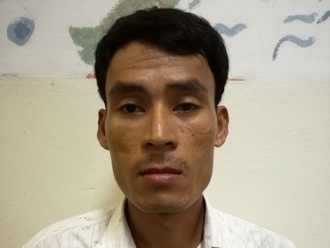 Fortunately, on March 27, he will undergo hernia repair surgery at our medical partner's care center. Our medical partner, African Mission Healthcare Foundation, is requesting $249 to fund Kule's surgery. Once completed, this procedure will hopefully allow him to live more comfortably and confidently. He says, "After surgery I will resume with my work."